O livro é preenchido com documentos e modelos prontos para utilização no planejamento e gerenciamento de projetos. Ele explica as principais técnicas de análise e modelamento de forma que esses documentos e modelos podem ser utilizados efetivamente no gerenciamento de projetos. Adicionalmente, o livro é também um guia das melhores práticas contidas no PMBOK® Guide do PMI. Ao longo do livro, um exemplo real e prático é utilizado para explicar todas as questões relacionadas ao gerenciamento do projeto, incluindo escopo, tempo, custos, qualidade, recursos humanos, comunicações e aquisições. 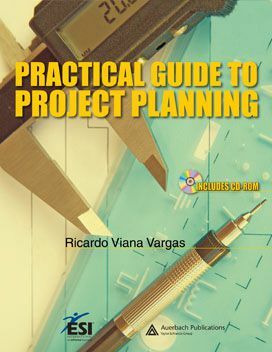 This book was born out of a market need that I could notice since I started my works on project management, as everybody was interested in seeing examples of project documents and discuss and analyze the models and best practices used in the PMI standards, published in the PMBOK Guide. It's my intention in this book to present, in a direct and practical way, the example of a project that can be analyzed under all management aspects, including the management of scope, time, costs, quality, HR, communication, risks, procurement and integration. The example exposed in this book concerns the implementation of a project management office (PMO) within a company division, including all the implementation steps, beginning with the diagnosis up to the results achieved. All project documents are presented and discussed in the book, and are available in the attached CD, thus allowing the reader to track and develop his/her own project at the same time he/she reads the book. I expect all of you to appreciate the book and that it may enhance the work of those already working on projects and that it may allow the beginners to achieve a full understanding of the environment related to the projects. Good reading, and an enduring success.